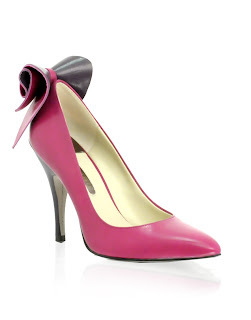 Ted Baker isn't a place I'd normally associate with wantable shoes but they have drawn me in a bit with these Hania heels. They're a fairly standard shape but the beauty comes from the rolled bow at the back and the rounded point. I prefer them in the pink/purple combo but they do come in black too which I guess is a little more versatile.